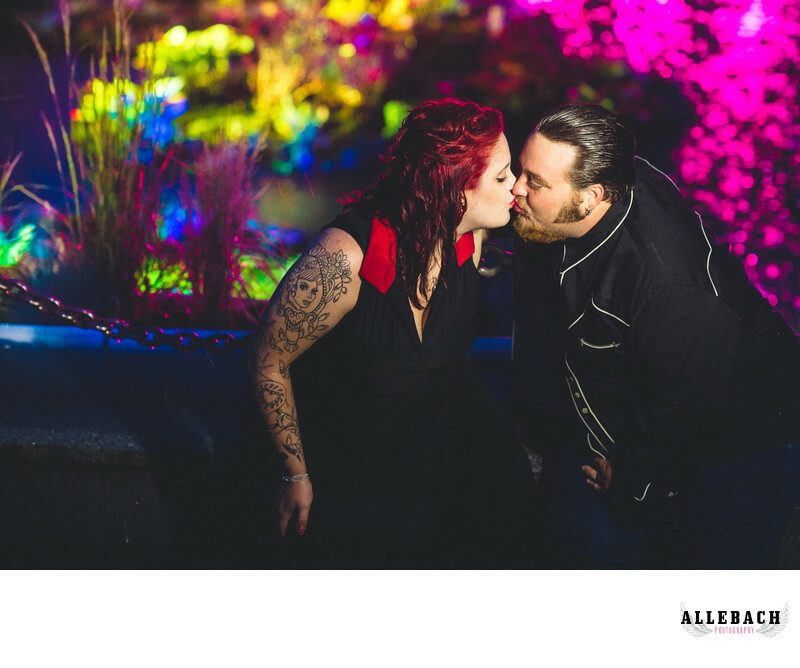 This rockabilly couple got their engagement pictures in the pouring rain. You can see the raindrops running off their faces. We photographed this engagement session in the rain at Philadelphia's Spruce Street Harbor Park. Thankfully due to the rain, the couple was virutally alone in this beautiful Philly park perfect for engagement photos. It really is one of the best places in Philadelphia to take engagement pictures. Contact us at http://allebachphotography.com or 610.539.6920 if you are interested in having an engagement session here or event a surprise proposal or wedding photos!